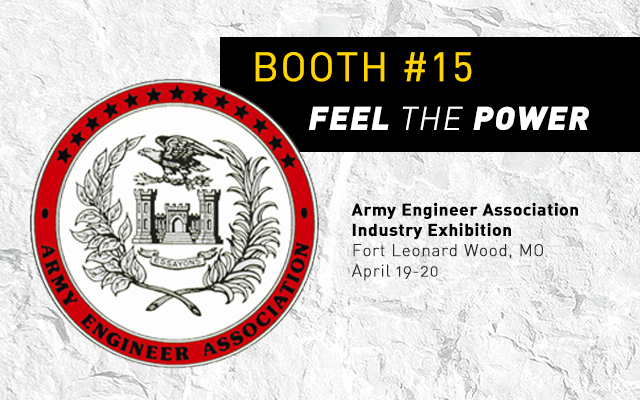 MB America, Inc. is attending the Army Engineer Association (AEA) Industry Exhibition at Fort Leonard Wood, Missouri on April 19-21, as a first-time exhibitor. The company will be providing prizes valued over $50 for the exhibit’s bingo event. During the exhibition, attendees will be able to participate in the bingo by visiting each participating booth. MB America is giving away an exclusive MB notebook with stone paper made from recycled, crushed stone and a gift card to the Cracker Barrel. The company has been working to provide the US government with its products and services to enhance the jobs and projects of federal agencies, which MB has recently received a GSA Advantage contract and catalog for its full product line of crushing and screening attachments, 360° grapples, and rotary head drum cutters for excavators, backhoes, loaders and skid loaders with appropriate hydraulic flow. MB products are for a wide scope of work, which includes demolition, excavation, road work, quarries, mining, pipeline work and environmental reclamation projects. Federal customers can purchase MB’s products through the GSA Advantage! catalog at http://bit.ly/mbgsagov or through its contract number, GS-30F-007DA.